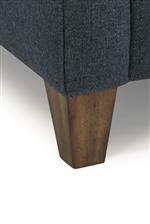 This functional and contemporary piece will enrich your living space with sophisticated style. The tall, tapered wooden legs complemented by thin, angled track arms create a clean silhouette that will look wonderful in your living room, family room or den. 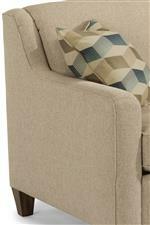 This sofa opens to reveal a convenient queen mattress that your guests will love. Ensure this sofa is perfect for you by special ordering custom fabrics, finishes, cushion types and other detail options that are available. 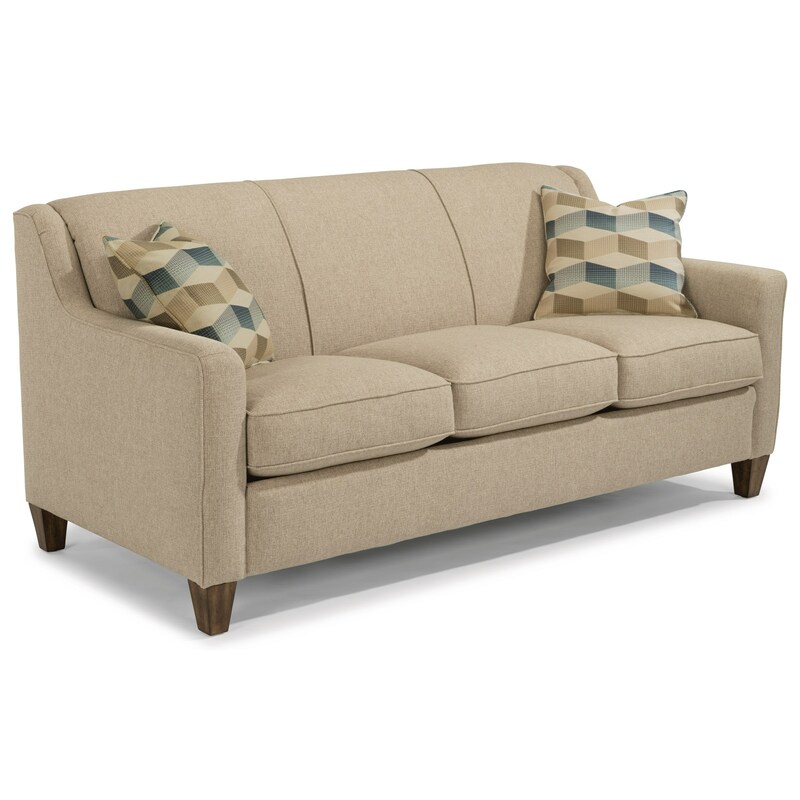 The Holly Contemporary Queen Sleeper Sofa with Angled Track Arms by Flexsteel at Rooms for Less in the Columbus, Reynoldsburg, Upper Arlington, Westerville Ohio area. Product availability may vary. Contact us for the most current availability on this product. Pull-Out Mattress Splendid Comfort mattress comes standard. Memory Flex and Majestic Air Coil mattresses are available by special order. The Holly collection is a great option if you are looking for Contemporary furniture in the Columbus, Reynoldsburg, Upper Arlington, Westerville Ohio area. Browse other items in the Holly collection from Rooms for Less in the Columbus, Reynoldsburg, Upper Arlington, Westerville Ohio area.